The character—a sort of American corruption of the Norse god Odin—kicks off the events of the Bryan Fuller-produced series, by taking grief-stricken former inmate Shadow (The 100’s Ricky Whittle) under his underhanded-if-gregarious wing. The two embark on a cross-country road-trip/bizarre religious pilgrimage, running cons, recruiting gods, and planning for a war between the old mythic figures of folklore, and the jealous new deities of the 21st century. 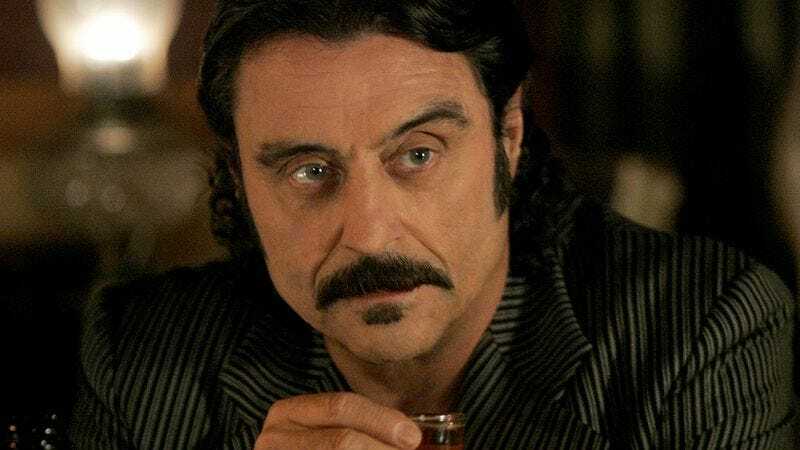 Through it all, Wednesday keeps up a steady line of huckster’s patter, of exactly the right tone and vintage to perfectly issue forth from McShane’s gloriously dour mouth once shooting on the series starts in April. The veteran TV and film actor is having a pretty good year, as far as premium-cable prestige series go: He’s also expected to show up for a small part on the upcoming season of HBO’s Game Of Thrones, and will presumably be on board whenever the Home Box Office gets around to that Deadwood movie it’s been tentatively promising now for months.